PCVF has identified the need to address the struggles of underserved veterans in our community. Specifically, to offer financial support beyond what is provided by State and Federal agencies. PCVF currently supplies emergency, or “gap” funding directly to veterans, active duty personnel and their families in times of need. This year our mission is to house homeless veterans in our community. In a time of increased budget cuts to public housing, medical and other services, the organization is determine to play a role in building a stronger social safety net for this vulnerable population. You can make the difference to ensure our local veterans and active duty are never forgotten. 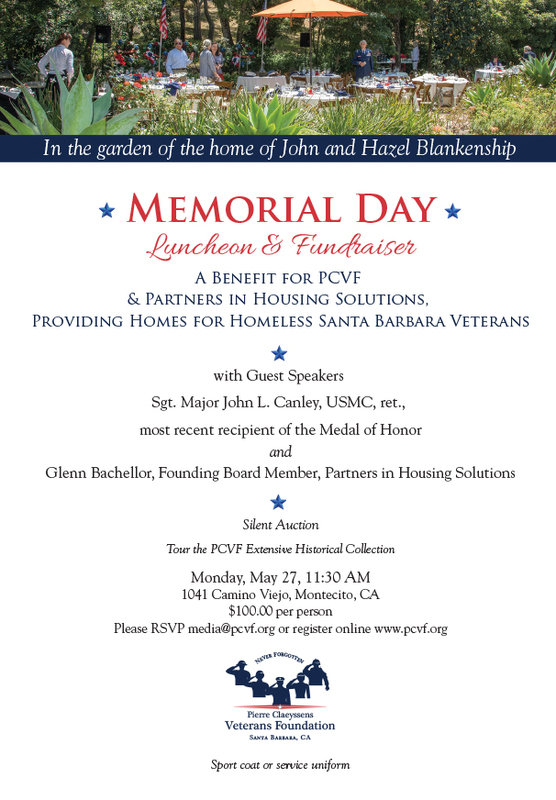 Join us on Monday, May 27 at 11:30 AM for a luncheon and presentation.